The U.S. human spaceflight space program is currently adrift. It needs a goal, and that goal should be sending human explorers to Mars in our time. 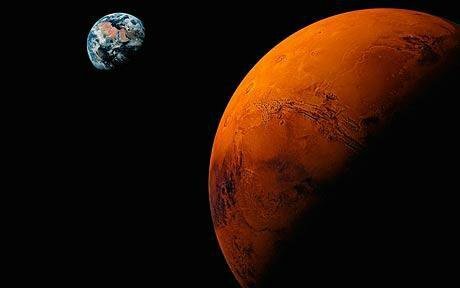 In order to help provide such direction and get a serious humans-to-Mars program underway, the Mars Society launched the International Gemini Mars Design Competition in August 2015, which would create a plan for a two-person Mars flyby that could be placed on the desk of the President-elect in November 2016 and completed by the end of his or her second term. Subsequent to the contest announcement, 19 teams from around the world filed letters of intent to compete. Of these, 12 teams, representing 25 universities from nine countries, including Argentina, Australia, India, Italy, Japan, Poland, Russia, the United Kingdom and the United States, have now filed design reports. To download a complete list of the remaining competitors, pleaseclick here. The contest was open to teams of engineering students from universities anywhere in the world, with the team offering the best design receiving a $10,000 prize, with awards of $5,000, $3,000, $2,000 and $1,000 going to the second, third, fourth, and fifth place contestants, respectively. The twelve received design proposals will be reviewed by the Mars Society, with a down-select being made to a smaller group of finalists. This final group of competitors will then be invited to present their design proposals in person and in public before a group of judges drawn from NASA, the aerospace industry and the Mars Society at the 19th Annual International Mars Society Convention, scheduled for September 22-25, 2016 at the Catholic University of America in Washington, D.C. The winners will be announced at the conference banquet on the evening of Saturday, September 24th. For further updates about the International Gemini Mars Design Competition and the down-select process, please visit the Mars Society web site.